For other uses, see Interrogation (disambiguation). Interrogation (also called questioning) is interviewing as commonly employed by law enforcement officers, military personnel, and intelligence agencies with the goal of eliciting useful information. Interrogation may involve a diverse array of techniques, ranging from developing a rapport with the subject to outright torture. A person's suggestibility is how willing they are to accept and act on suggestions by others. Interrogators seek to increase a subject's suggestibility. Methods used to increase suggestibility may include moderate sleep deprivation, exposure to constant white noise, and using GABAergic drugs such as sodium amytal or sodium thiopental. Attempting to increase a subject's suggestibility through these methods may violate local and national laws concerning the treatment of detainees, and in some areas may be considered torture. Sleep deprivation, exposure to white noise, and the use of drugs may greatly inhibit a detainee's ability to provide truthful and accurate information. Deception can form an important part of effective interrogation. In the United States, there is no law or regulation that forbids the interrogator from lying about the strength of their case, from making misleading statements or from implying that the interviewee has already been implicated in the crime by someone else. See case law on trickery and deception (Frazier v. Cupp). As noted above, traditionally the issue of deception is considered from the perspective of the interrogator engaging in deception towards the individual being interrogated. Recently, work completed regarding effective interview methods used to gather information from individuals who score in the medium to high range on measures of psychopathology and are engaged in deception directed towards the interrogator have appeared in the literature. The importance of allowing the psychopathic interviewee to tell one lie after another and not confront until all of the lies have been presented is essential when the goal is to use the interview to expose the improbable statements made during the interview in future court proceedings. The major aim of this technique is to investigate to what extent verbal and non-verbal features of liars’ and truth-tellers’ behaviour change during the course of repeated interrogations. It has shown that liars display significantly fewer smiles, self-manipulations, pauses, and less gaze aversion than truth-tellers. According to Granhag & Strömwall, there are three approaches to non-verbal deceptive behavior. The first is the emotional approach, which suggests that liars will alter their behaviors based on their own emotional feelings. For example, if a subject is lying and they begin to experience guilt, they will shift their gaze. The second approach is the cognitive approach, which suggests that lying requires more thought than telling the truth, which in turn, may result in a liar making more errors in speech. Lastly, the attempted control approach suggests a subject who is lying will attempt to be seemingly normal or honest, and will try to adjust their behaviors to make themselves believable. There are two pride-and-ego techniques used in interrogation. One is the pride-and-ego up approach, while the other is the pride-and-ego down approach. The pride-and-ego up approach involves seeking information from a subject through the use of constant flattery and compliments. As the subject is being continuously praised, the interrogator hopes that through speaking of the subject in a positive light, he or she will provide the necessary information. On the contrary, the pride-and-ego-down approach occurs when the interrogator demeans and insults the subject, with the intent of having the subject provide information. The interrogator will verbally/emotionally abuse the subject, hoping that, eventually, the subject will attempt to salvage his or her sense of pride or self-worth. The use of drugs in interrogation is both ineffective and illegal. The Body of Principles for the Protection of All Persons under Any Form of Detention or Imprisonment (adopted by the UN General Assembly as resolution 43/173 of 9 December 1988) forbids "methods of interrogation which impair the capacity of decision of judgment." Furthermore, the World Medical Association and American Medical Association, for example, both forbid participation by physicians in interrogations. In the past, various mind-altering substances have been tried as "truth serums", including sodium pentothal, sodium amytal, and scopolamine. In the context of Project MKUltra, the CIA conducted trials on LSD as a potential truth serum, beginning in the 1950s. The history of the state use of torture in interrogations extends over more than 2,000 years in Europe—though it was recognized early on as the Roman imperial jurist Ulpian in the third century AD cautioned, that information extracted under duress was deceptive and untrustworthy. There is "no means of obtaining the truth" from those who have the strength to resist says Ulpian, while others unable to withstand the pain "will tell any lie rather than suffer it." The use of torture as an investigative technique waned with the rise of Christianity since it was considered "antithetical to Christ's teachings," and in 866 Pope Nicholas I banned the practice. But after the 13th century many European states such as Germany, Italy, and Spain began to return to physical abuse for religious inquisition, and for secular investigations. 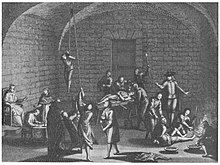 By the 18th century the spreading influence of the Enlightenment led European nations to abandon officially state-sanctioned interrogation by torture. By 1874 Victor Hugo could plausibly claim that "torture has ceased to exist." Yet in the 20th century authoritarian states such as Mussolini's Fascist Italy, Hitler's Third Reich, and Lenin's and Stalin's Soviet Union once again resumed the practice, and on a massive scale. During the Cold War, the American Central Intelligence Agency was a significant influence among world powers regarding torture techniques in its support of anti-Communist regimes. The CIA adopted methods such as waterboarding, sleep deprivation, and the use of electric shock, which were used by the Gestapo, KGB, and North Koreans from their involvement in the Korean War. The CIA also researched 'no-touch' torture, involving sensory deprivation, self-inflicted pain, and psychological stress. The CIA taught its refined techniques of torture through police and military training to American-supported regimes in the Middle East, in Southeast Asia during the bloody Phoenix Program, and throughout Latin America during Operation Condor. In some Asian and South Pacific nations, such as Malaysia and the Philippines, torture for interrogating and terrorizing opponents became widespread. "In its pursuit of torturers across the globe for the past forty years," writer Alfred McCoy notes, "Amnesty International has been, in a certain sense, following the trail of CIA programs." After the revelation of CIA sponsored torture in the 1970s and the subsequent outcry, the CIA largely stopped its own interrogations under torture. Throughout the 1980s and 1990s, it "outsourced" such interrogation through renditions of prisoners to third world allies, often called torture-by-proxy. But in the furor over the September 11 attacks, American authorities cast aside scruples, legally authorizing some forms of interrogation by torture under euphemisms such as "enhanced interrogation techniques" or "interrogation in depth" to collect intelligence on Al Qaeda, starting in 2002. Ultimately the CIA, the US military, and their contract employees tortured untold thousands at Abu Ghraib, Bagram, and secret black site prisons scattered around the globe, according to the Senate Intelligence Committee report on CIA torture and the bipartisan U.S. Senate Armed Services Committee report Whether these interrogations under torture produced useful information is hotly disputed. The administration of President Obama in 2009 prohibited so-called enhanced interrogation, and as of March 2012 there is no longer a nation which openly admits to deliberate abuse of prisoners for purposes of interrogation. Police interrogations in the United States involve the suspect voluntarily giving information when being questioned. Police use several different tactics in order for the suspect to elicit information voluntarily. Interrogations are often presented by the cops in a way where the person in question is not presented as a suspect. Investigators often state that they need to ask a couple questions in order to get more information about the crime committed. Police like to refer to this process as an "interview" rather than an interrogation as this allows the suspect to feel less threatened. The suspect is asked to come into the police station so that the suspect is not around anyone or anything familiar. Getting the suspect on police territory and in a new environment allows for the police to have better control of the situation, including preventing the suspect from resisting the interrogation operations.Once suspects are in the interrogation room, police often begin by asking background information questions and engaging in small talk. This allows for the suspect to feel less threatened which will elicit voluntary responses to the questions. The interrogation continues and questions about the crime are asked. The Reid Technique is a technique widely used by law enforcement in North America for interrogation purposes. It involves looking for signs of deception as present in the suspect's body language. The technique has been criticized for being difficult to apply across cultures and eliciting false confessions from innocent people. Police interrogation tactics can be classified into two general categories: maximization and minimization. Maximization techniques involve eliciting information from the suspect by emphasizing potential consequences for refusing to admit guilt, presenting false evidence, or accusing the suspect of having committed the act. Minimization techniques entails minimizing the suspect's hand in the crime and the associated consequences in order to induce a confession. As a maximization tactic inspired by the Reid technique, presupposition-bearing questions (PBQs) are questions that police use to indirectly gain confirmation from suspects on incriminating information. This is because in answering PBQs one necessarily accepts and confirms backgrounded information in the question. Backgrounded information refers to information that is "tucked" into the meaning of an utterance without being directly stated. For example, during the police interrogation of 14-year-old Lorenzo Montoya in the investigation of the murder of 29-year-old Emily Johnson in Denver in January 2000, police obtained a false confession through PBQs (Gaines 2018). Police transcripts showed that one policeman had asked "It [going inside the car and coming to the murder scene] was a mistake though, wasn't it? Were you high at the time? ", with which Lorenzo replied "No!". This question directly asks if coming to the murder scene was a mistake and if Lorenzo was high, which, thus, are the only two pieces of information to which Lorenzo can respond. Neither a "no" or "yes" - which are the only two possible responses - can target the presupposition that Lorenzo was present at the crime scene. Because this piece of information is tucked into the background and cannot be directly addressed, any answer would necessitate accepting the proposition that Lorenzo was present at the crime scene. A common technique that is used in interrogation is Good Cop/Bad Cop. With this technique, two officers will pretend to take opposing sides while interacting with a subject. While the ‘bad cop’ is seemingly against the subject, the 'good cop' seems to take the side of the subject, sympathizing with and even defending the subject. The purpose of this technique is to have the subject think that he or she can confide in the ‘good cop,’ thus providing him or her with information that may help further the case. Although police can use linguistic strategies to elicit confessions from suspects, they do not have unconditional power to intimidate suspects into providing information. A number of protections exist for suspects under interrogation, including the Fifth Amendment, Miranda Rights, and other legal mandates. The Fifth Amendment, which states that one cannot be made to be "a witness against himself", prohibits law enforcement from forcing suspects to offer self-incriminating evidence (Solan and Tiersma 33). For example, upon being asked by the police if one was present at the scene of a crime, one can refuse to respond. However, law enforcement can require that one provide demonstrative evidence through a blood or DNA sample. Following the Escobedo v. Illinois ruling, the Supreme Court mandates that a suspect under police interrogation may refuse to respond to questioning until a lawyer is present, which is called invoking one's right to seek counsel. The Supreme Court further elaborated on this mandate following the decision of Edwards v. Arizona by stating that police cannot continue interrogation once the suspect invokes his or her right to counsel, or until he or she voluntarily agrees to continue questioning. As a result of the Miranda v. Arizona ruling, police are required to read aloud to suspects under interrogation their Miranda Rights afforded to them by the Fifth Amendment, such as the right to remain silent and the right to seek counsel. If the police fail to administer the Miranda rights, all statements under interrogation are prohibited from being used as evidence in court proceedings. 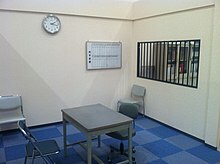 Film set of a Japanese police interrogation room. As well as legislation, statutory law and regulatory law, various legal precedents called 'case law' also impact interrogation techniques and procedures. One of the first attempts by British Courts to guide and set standards for police officers interrogating suspects was the declaration of the 'Judges' Rules' in 1912 by the judges of the King's Bench Division in England. These rules, although not law, still have weight in the United Kingdom and Canada. Military interrogation takes two forms, Tactical Questioning or Detailed Interviewing. Tactical Questioning is the initial screening of detainees, Detailed Interviewing is the more advanced questioning of subjects. Training for all personnel engaged in both TQ and DI takes place at the Joint Intelligence Training Group, Chicksands. The use of torture is explicitly prohibited. However, Human Rights Watch and Amnesty International have accused officers of the British Intelligence and Security Services of being at least complicit in the extraction of information from subjects under torture by second parties. During the War on Terror, torture has never been authorized or permitted for use at Guantanamo Bay detainment camp or any other U.S. Department of Defense detention/internment facility on captives, whether they are enemy prisoners of war, detainees, and unlawful enemy combatants, though there have been people who have reported being tortured at Guantanamo Bay. Torture, in this context, is a war crime. Specifically, a grave violation of the Law of Land Warfare. War crimes are punishable under U.S. Code as well as the U.S. Code of Military Justice. There is no statute of limitations for war crimes. Instances of criminal behavior by military, civilian, and contract personnel of the U.S. Department of Defense has happened and has happened with regard to Geneva Category regarding prisoners and detainees. Criminal behavior in this context may range from mishandling to abuse to torture. Military Commanders investigate rigorously any accusation of prisoner mishandling, abuse, or torture. The military continues to vigorously prosecute any such unlawful activity. Army regulations and policy have always been clear, the torture or coercion of an enemy prisoner of war during interrogation, or in any other circumstance, is not only unlawful but also an unproductive and unreliable method for gaining information. In addition, U.S. Army interrogation procedures continue to stress that all detained or captured persons will be treated as Geneva Category Enemy Prisoners of War until determined otherwise by a duly constituted military tribunal. Lieutenant General Jack L. Rives (U.S.A.F. Judge Advocate General) advised a U.S. government task force that many of the extreme methods of interrogation would leave service personnel open to legal sanction in the U.S. and foreign countries. Resistance training is often a prerequisite for some military personnel since prisoners of war (POWs) routinely undergo interrogation. Currently, there is a movement for mandatory electronic recording of all custodial interrogations in the United States. "Electronic recording" describes the process of recording interrogations from start to finish. This is in contrast to a "taped" or "recorded confession," which typically only includes the final statement of the suspect. "Taped interrogation" is the traditional term for this process; however, as analog is becoming less and less common, statutes and scholars are referring to the process as "electronically recording" interviews or interrogations. Alaska, Illinois, Maine, Minnesota, and Wisconsin are the only states to require taped interrogation. New Jersey's taping requirement started on January 1, 2006. Massachusetts allows jury instructions that state that the courts prefer taped interrogations. Commander Neil Nelson of the St. Paul Police Department, an expert in taped interrogation, has described taped interrogation in Minnesota as the "best thing ever rammed down our throats". ^ J. D. Obenberger (October 1998). "Police Deception: The Law and the Skin Trade in the Windy City". ^ Perri, Frank S.; Lichtenwald, Terrance G. (2008). "The Arrogant Chameleons: Exposing Fraud Detection Homicide" (PDF). Forensic Examiner. All-about-psychology.com. pp. 26–33. ^ Perri, Frank S.; Lichtenwald, Terrance G. (2010). "The Last Frontier: Myths & The Female Psychopathic Killer" (PDF). Forensic Examiner. All-about-forensic-psychology.com. pp. 19:2, 50–67. ^ a b c Granhag, Pär Anders; Strömwall, Lief A. (2002). "Repeated interrogations: Verbal and non-verbal cues to deception". Research Gate. ^ "A/RES/43/173. Body of Principles for the Protection of All Persons under Any Form of Detention or Imprisonment". www.un.org. ^ American Medical Association. "Physician participation in interrogation". Archived from the original on 2017-12-25. ^ McCoy, Alfred (2007). A Question of Torture: CIA Interrogation, from the Cold War to the War on Terror. Henry Holt & Co. pp. 16–17. ISBN 978-0-8050-8248-7. ^ Froomkin, Dan (7 November 2005). "Cheney's Dark Side is Showing". Washington Post. Retrieved 29 March 2012. ^ "Report by the Senate Armed Services Committee on Detainee Treatment". Documents.nytimes.com. Retrieved 2014-04-23. ^ Will, George (1 November 2013). "Facing up to what we did in interrogations". Washington Post. Retrieved 12 January 2013. ^ "Obama: U.S. will not torture – politics – White House". MSNBC. 2009-01-09. Retrieved 2014-04-23. ^ Stout, David. "Holder Tells Senators Waterboarding Is Torture". nytimes.com. ^ Gaines, Philip (July 1, 2018). "Presupposition as investigator certainty in a police interrogation: The case of Lorenzo Montoya's false confession". Discourse & Society. 29 (4): 399-419. .
^ Police Interrogation and American Justice. Harvard University Press. June 2009. p. 119. ISBN 9780674035317. ^ Norris, Chris (April 5, 2012). The Lone Hunter. Xlibris Corporation. ^ Kassin, Saul; Fong, Christina (1999). "'I'm Innocent! ': Effects of Training on Judgments of Truth and Deception in the Interrogation room". Law and Human Behavior. 23 (5): 499–516. doi:10.1023/a:1022330011811. ^ Solan, Lawrence; Tiersma, Peter Meijes (2005). Speaking of crime the language of criminal justice. Chicago: University of Chicago Press. ^ Candela, Kimberlee (June 24, 2011). Courts, Law, and Justice. SAGE Publications, Inc. ISBN 9781412978576. ^ Van Allen, Bill (2012). Criminal Investigation: In Search of the Truth. Canada: Pearson Canada. p. 110. ISBN 978-0-13-800011-0. ^ Mumford, Andrew (March 2012). "MINIMUM FORCE MEETS BRUTALITY: DETENTION, INTERROGATION AND TORTURE IN BRITISH COUNTER-INSURGENCY CAMPAIGNS". Journal of Military Ethics. 11 (1): 10–25. doi:10.1080/15027570.2012.674240. ISSN 1502-7570. ^ New Jersey Courts. Judiciary.state.nj.us. Retrieved on 2011-03-04. ^ "text of the new Illinois law (SB15) requiring electronic recording of custodial interrogations in murder case (The Illinois Criminal Justice Information Act)" (PDF). Archived from the original (PDF) on 2007-09-26. Retrieved 2007-09-26. ^ "Wisconsin Supreme Court rules that all custodial interrogations of juveniles must be recorded. (In the Interest of Jerrell C.J.) (05-3-25)". Archived from the original on 2010-08-20. Retrieved 2010-08-20. Texas Juvenile Probation Commission. ^ New Rule 3:17 – Electronic Recordation. Judiciary.state.nj.us. Retrieved on 2011-03-04. ^ See Commonwealth v. DiGiambattista, 813 N.E.2d 516, 533–34 (Mass. 2004). ^ Neil Nelson & Associates Home Page Archived 2017-09-19 at the Wayback Machine. Neilnelson.com. Retrieved on 2011-03-04. ^ Wagner, Dennis (December 6, 2005). "FBI's policy drawing fire". The Arizona Republic. Archived from the original on October 16, 2013. Retrieved October 16, 2013. Look up interrogation in Wiktionary, the free dictionary. 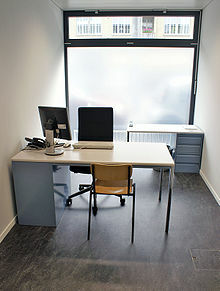 Wikimedia Commons has media related to Interrogation. 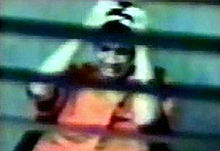 Limits to Interrogation – The Man In The Snow White Cell, how Nguyen Tai resisted interrogation and torture for years.